This evening I made my Cheese Head Pizza for dinner. It was so quick, easy and delicious. I usually like to put lots of different toppings on my pizza, but this evening I kept it simple. 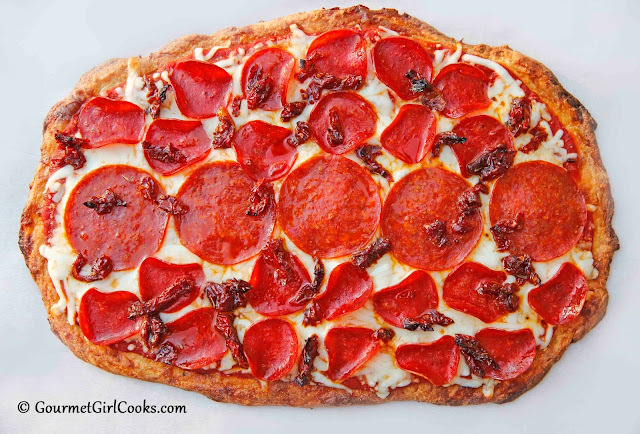 I topped our Cheese Head Pizza crust with Muir Glen's Organic Pizza Sauce, Sargento's Whole Milk Shredded Mozzarella Cheese, Fiorucci and Boars Head Pepperoni, and last but not least...sun-dried tomatoes packed in olive oil and herbs. It was an awesome combination and toppings that both hubby and I like (no "half-sies" pizza tonight). If you haven't tried my Cheese Head Pizza Crust...you need to put that on your list of things to try. We've been extremely busy the last few weeks working on home projects and spring cleaning and I've also been working on another dessert project as well, so stay tuned. 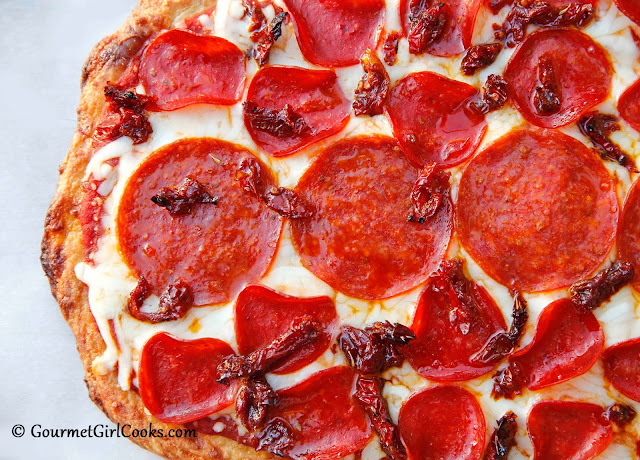 Check out this evening's pizza below. Everyone that has tried it so far says that it's the best low carb pizza crust they've ever had...and I've got several other awesome pizza crusts that they love as well, so that compliment really means a lot. 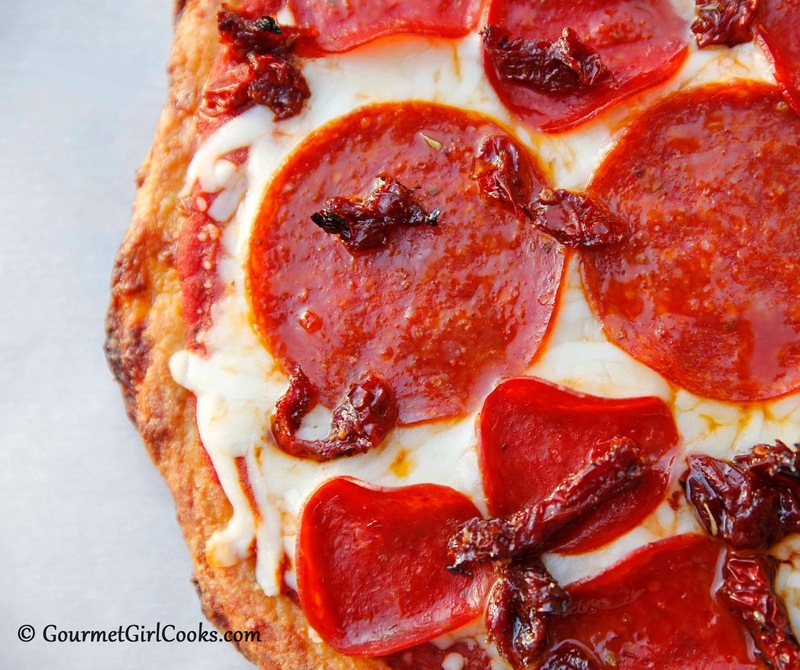 To get to the recipe, click here: Cheese Head Pizza Crust. Enjoy! 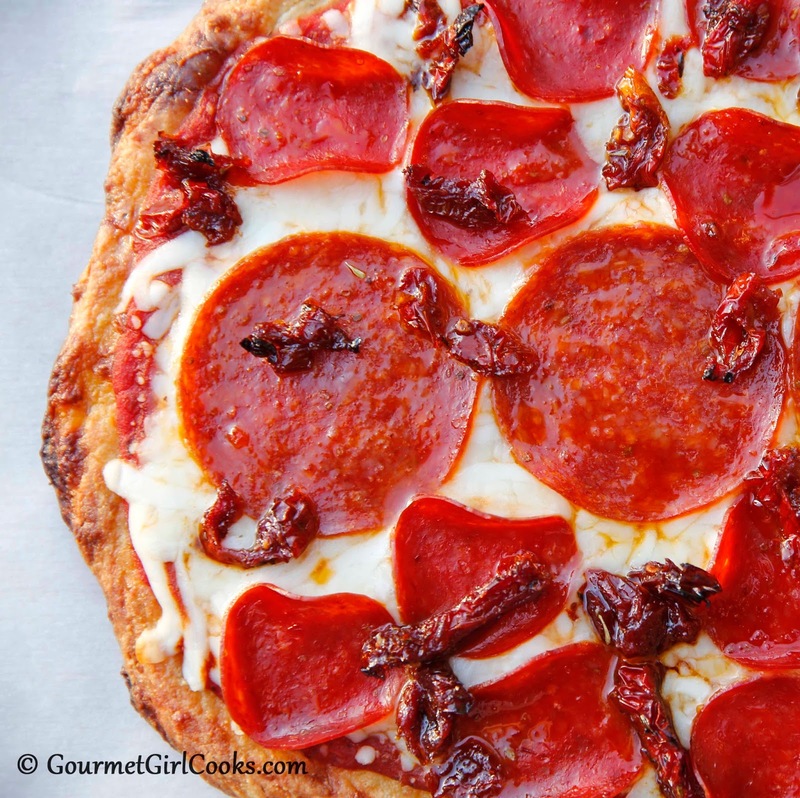 Nothing sends my heart more a-flutter than a gorgeous pizza. And your pictures are ALWAYS the prettiest! !